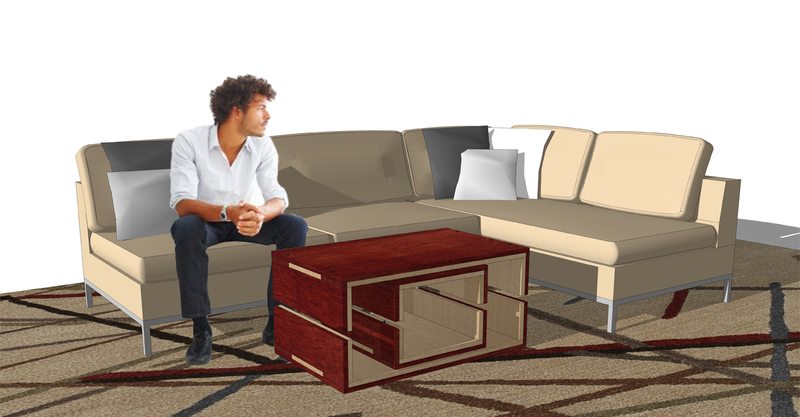 This transformational coffee table is intended for users who reside in small spaces and require furniture to provide more than one function within their home. First and foremost the table functions as a coffee table. It also transforms into a dining table to accomodate four to six people. The inner box may be used as a side table or platforms to create tiers on the dinner table. The third transformation becomes a higher surface to accommodate a desk or computer table. I strive to create designs that speak to sustainability, encompass branding, and bring together and create communities.